Merry Christmas everyone.. I was over on the MarkerPop blog a few days ago and I forgot to share the project here. I found a box of Christmas cards in the store with a deer just like this in a similar layout with lots of Glitter and I though I can recreate that. I started with a piece of Tim Holtz watercolor paper and smooshed some Tumbled glass Distress ink to the background. I heat set the ink and then trimmed 1/4″ off the panel. I die cut two snow drifts using the MFT Snow Drifts Die set from some Neenah Solar White card stock. I used some anti static powder all over the background panel and the snow drifts. Then I stamped the Snowing stamp from Altenew all over the background with some VersaMark ink. I added some VersaMark to the edges of the Snow Drifts as well and I coated everything in WOW brand Twinkle Puff White embossing Glitter. 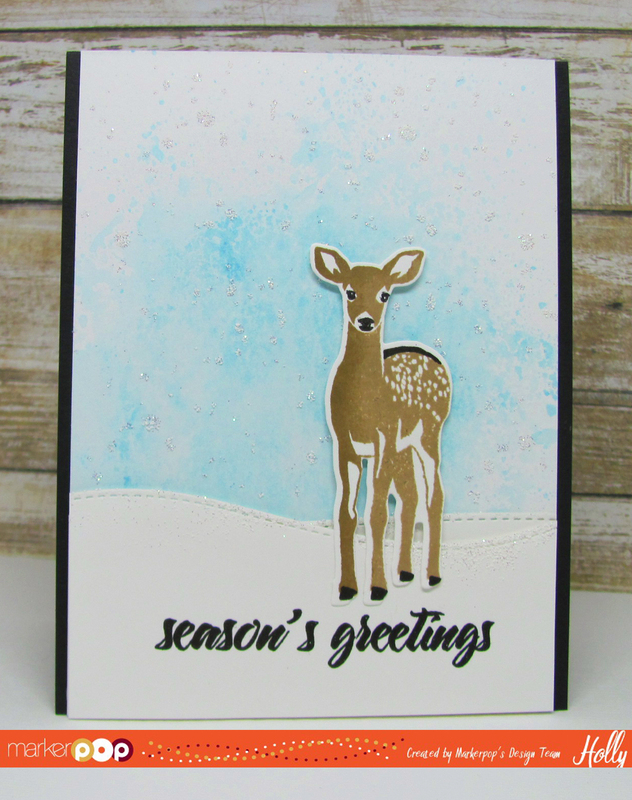 You can use any White or Glittery embossing powder for this. I stamped the sentiment from the Modern Deer set from Altenew onto one of the snow drifts in VersaFine Onyx Black ink with the Mini Misti. Then I adhered the Background panel and snow drifts to a Black Licorice Top Folding card base. 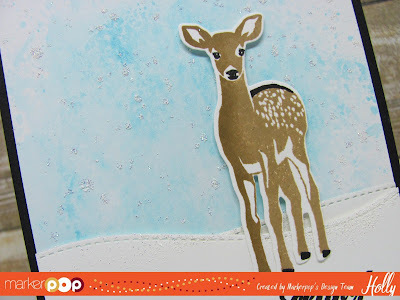 I stamped the deer image onto a piece of White card stock using the Altew new mini Coffee Break ink set. Then I stamped the other images with some VersaFine Ink. I used the coordinating die cuts and my Big Shot to cut the image out. 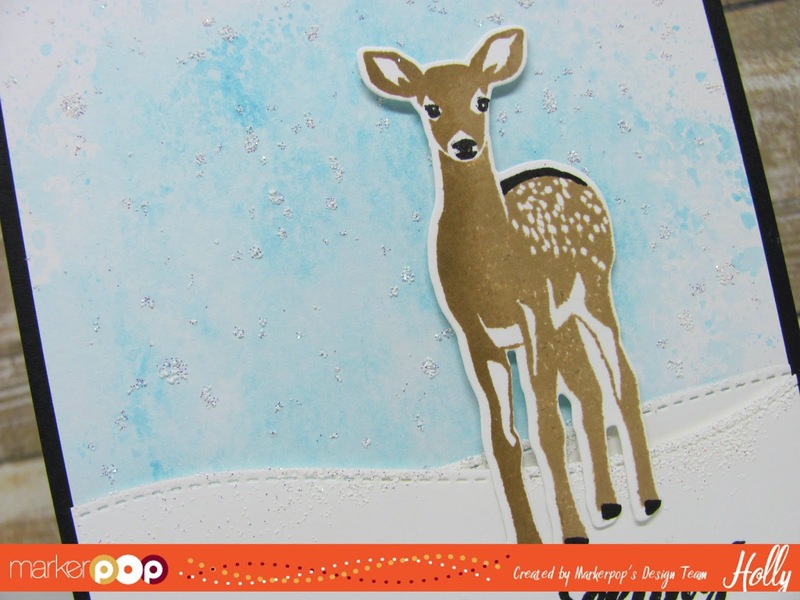 I adhered the deer to the front of the card with some foam tape. This is one of those cards you have to see in person. lol Thanks for stopping by today!